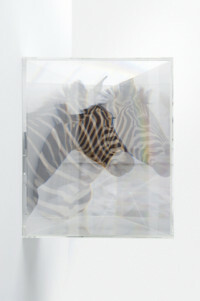 Born in Osaka in 1975, Kohei Nawa is a contemporary Japanese sculptor. He received his PhD in Fine Art Sculpture from Kyoto City University of Art in 2003. 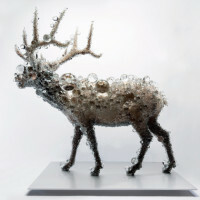 Nawa is acclaimed internationally for his PixCell series, a group of sculptures of taxidermic animals covered with clear crystal beads. Pixcell is a term combining the digital "pixel" and the biological "cell," creating a new experience through distortion and reconstruction of color, texture and form. 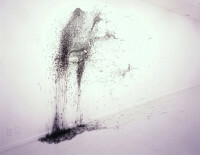 In 2010, Nawa exhibited his works at Bangladesh Biennale and won the Grand Prize. His solo exhibitions include Galerie Vera Munro, Hamburg, Germany (2009), Miro Foundation, Barcelona, Spain (2008), Peking Fine Arts, Beijing, China (2008), Ierimonti Gallery, Milan, Italy (2007), SCAI The Bathhouse, Tokyo, Japan (2006).